Here are the numbers that Grimer is represented by in the various Pokedexes. When two of these Pokemon's bodies are combined together, new poisons are created. 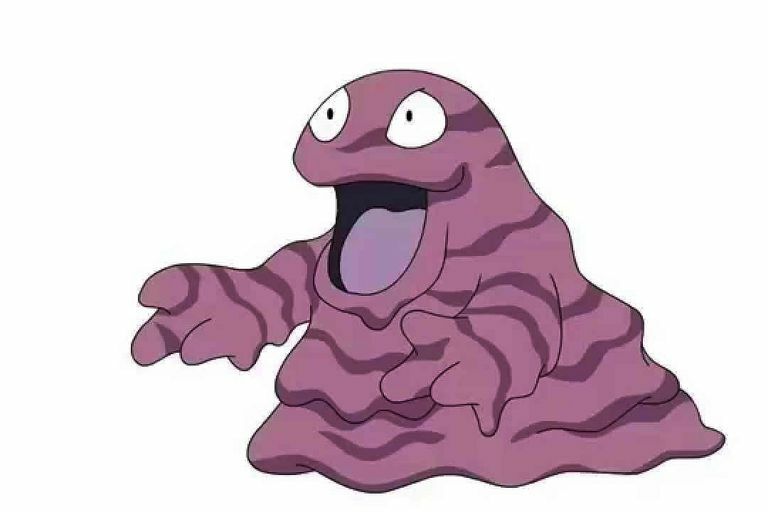 GRIMER's sludgy and rubbery body can be forced through any opening, however small it may be. This Pokemon enters sewer pipes to drink filthy wastewater. GRIMER emerged from the sludge that settled on a polluted seabed. This Pokemon loves anything filthy. It constantly leaks a horribly germ-infested fluid from all over its body. Height: 0.9 m / 2' 11"
Weight: 30.0 kg / 66.1 lbs. The stench helps keep wild Pokemon away. If the Pokemon is in the lead spot, the chance of encountering a wild Pokemon decreases to 50%. In Battle Pyramid, it decreases to 75%.